A deputy for Turkey’s ruling Justice and Development Party (AKP) has proposed that President Recep Tayyip Erdoğan should be granted the title of “Gazi”, an honorific usually reserved for veterans of wars, the Turkish news site Haber7 reports. 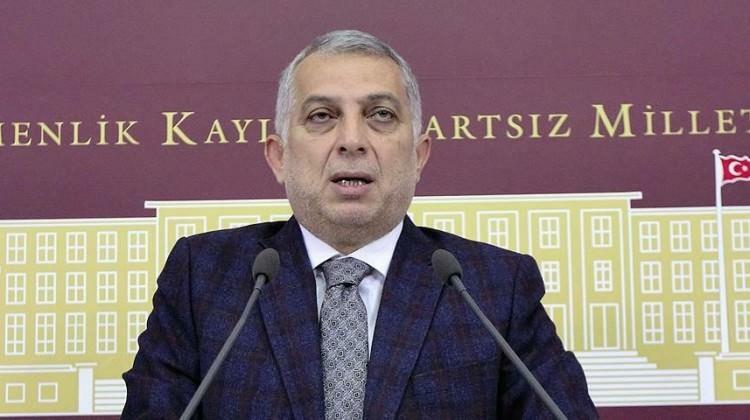 Metin Külünk, an AKP Member of Parliament for Istanbul, presented his proposal to the AKP’s parliamentary group presidency, justifying it by saying that Erdoğan has been involved in fights “on many fronts” and has been under the threat, “both direct and secret”, of assassination during his years leading Turkey. The proposal was presented as Turkish forces move to attack U.S.-backed Kurdish forces in the northwest Syrian town of Afrin. The word “Gazi” is derived from the Arabic-rooted word “gaza”, a war to defend or promote Islam. “Gazi” is used in Turkish to refer generally to a veteran of a war, but it is also an honorary title granted to heroic war leaders or heroes. A famous recent example of this is Mustafa Kemal Atatürk, the founder of the Turkish Republic, but examples can be found stretching back to Ottoman sultans and early Turkish leaders including Ertuğrul Bey, the father of Osman, who founded the Ottoman dynasty. Külünk referred to these leaders in his proposal, and declared that Erdoğan belonged in that same category as these leaders for “selflessly struggling for the survival not only of the temporal nation, but also for the spiritual nation”. The Turkish President has faced a series of mounting threats since he held a fiery exchange with former Israeli leader Shimon Peres at the Davos economic forum in 2009, said Külünk. Külünk’s proposal goes on to list the series of scandals and crises that have struck Turkey since that year, including the 2013 Gezi Park protests; the December 2013 corruption investigations of top AKP officials; the bombing of Kurdish smugglers by Turkish fighter jets in 2011; the bombing of Kurdish activists in Suruç in 2014; and the downing of a Russian jet in 2015. All of these incidents were fronts in an offensive against Turkey that Erdoğan has defended against “fearlessly, determinedly, and unafraid of death”, wrote Külünk in his proposal. AK Parti Ä°stanbul Milletvekili Külünk,"TBMM, 15 Temmuz'da milletimizle birlikte baÄÄ±msÄ±zlÄ±k mücadelesi veren CumhurbaÅkanÄ±mÄ±za gazilik payesi verilmesini deÄerlendirmelidir." dedi.